"So delicious, I can’t stop eating them! They’re perfect if I don’t have time for breakfast and they’re perfect for a little sweet treat. I need more I love them!" "I keep coming back for more… threw out all the other protein bars I owned after I discovered BUILT"
"I love the coconut built bars. They satisfy my hunger for something sweet. They are only 3 freestyle points." "These bars are delicious! They are very low in sugar and high in protein and make a great low calorie snack in the afternoon. Perfect bar for before or after workouts, too. I haven't found a flavor I don't like yet. My favorites are chocolate orange, and chocolate fudge." "BEST protein bars ever! So glad I found these. No gritty, weird texture and no weird aftertaste. Been buying these for about 4 months now, no plan on stopping. Tastes so similar to a chocolate candy bar, perfect for those with a sweet tooth like me!" "I love these! They are very filling and give me energy to finish the day on a strong note. I’m so glad I took the plunge and bought some. I’m not sure I can make it through life without them. Ha! They’ve helped me on my weight loss journey. I’ve also shared a couple with some family members and they’ll be placing orders as well! So yummy!" "I absolutely love these bars! They are a great treat on the WW Freestyle plan. I definitely feel like I’m cheating on my journey when I eat one of these... but I’m not! They’re only 3sp per bar! I will continue to purchase these! Super fast shipping as well!" 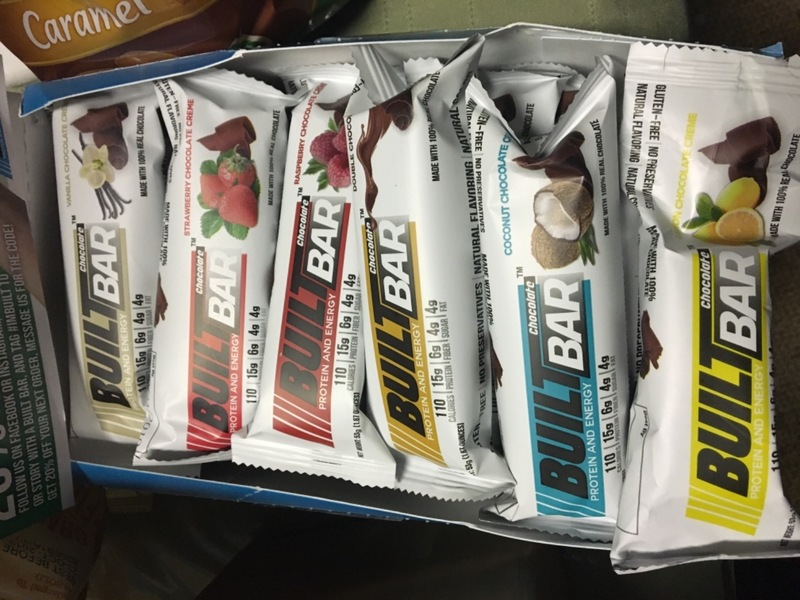 "I received my first box of Built bars and was disappointed to see the last they were all strawberry creme. I had meant to get the medley. Customer service graciously gave me a code for 20%off my next order. But, let me tell you...I was thrilled with the flavor! These bars are so tasty and generously sized. They feel sinful! I have been eating them as an afternoon snack and they definitely satisfy me till dinner time. They would definitely work as dessert too! There is no chalky or earthy protein taste. And the consistency is great...almost like a nougat or Valentine candy! These are 3 freestyle points for weight watchers and worth each one! High protein and low calorie! ❤️ "
"What a lifesaver when I’m craving chocolate and sweet! And it’s good for me too!" "I love these bars. They are delicious and completely satisfy all of my chocolate cravings. I am so glad my friend introduced me to this product. Lifetime customer!" "These are all delicious! Some of the flavors I wasn't too sure about before eating (I'm not a Coconut fan normally), but I was pleasantly surprised at how subtle some of the flavors were. It made them much better than I thought and the best part is that they don't taste like a protein bar at all! I feel like I'm eating dessert!" "I love the bars, great taste and loads of protein. I am a repeat customer." "Love them all. My favorite afternoon snack that keeps me satisfied until dinner." "I love them they really fill me up and they taste great!!" "These were good. I liked the raspberry the best"
"These are the best protein bars I have ever had. I will continue to order these, however I didn't receive the 2 free bars with my order as advertised." "I’m a current Ww member and I love that I can enjoy your bars guilt free Low points and big flavor are the best combo I just wish you sold the variety pack "
"Amazing bars and taste great and no allergens!!" "Love all the flavors. this bar really helps my chocolate cravings, perfect low points snack on WW. Yummy marshmallow Center covered in chocolate so satisfying. Try them in your freezer you won't regret it. ❤❤❤❤"
"The Built Bars are very good. All the flavors are excellent. You feel like you are getting a candy bar not protein!" "I love the mixed box because I get each flavor! They are all really good! So far my favorite is the mint because it tastes like a peppermint patty! I cannot wait to try the strawberry and raspberry! Thanks to Built for making a protein bar that actually tastes great! " "I’m one of those annoying people who buys a protein bar with hopeful intentions. They usually taste like cardboard and don’t keep the hunger at bay like they promise. So when I paid way more for these than any other bar before it, I was really hoping I didn’t just waste that much money. They.Are.Worth.Every.Penny! SO delicious (I got Mint and Strawberry), AND they keep the hunger at bay with 15g of protein. If I don’t have one between breakfast and lunch, they make a perfect low fat, low sugar snack at night to keep the sweet tooth satisfied. Highly recommend. Will definitely be buying more! " "I love them! Especially frozen😁"
"They help when I was craving chocolate and also counut. I would recommend these to others ." "Just like eating candy but healthy! " "Love, love, LOVE built bars! Energy, protein, and delicious!" "Excellent. Tastes like a mounds bar!" "At first I was skeptical, could these bars be as food as everyone says they are!?!? Well after receiving my sample box I was sold. The Double Chocolate is my hands down favorite! "